The military depends upon equipment that can operate without fail in challenging conditions. Superior components can strengthen end product reliability and performance, giving armed forces the advantage. Optimize your defense application with resilient rubber products from Minor Rubber. We are a trusted American manufacturer of molded, extruded, and fabricated rubber parts for the defense industry and its suppliers. With more than 100 years of experience developing rubber solutions for military applications, our team has an uncompromising commitment to providing clients with best-in-class products. Whether you need production of existing components, prototypes for research and development or replacement items for hard-to-find or obsolete applications, Minor Rubber has the capabilities and expertise to supply quality rubber parts on time and within budget. Government agencies and their contractors install Military Standard MS35489 rubber grommets from Minor Rubber on a variety of applications, which include electrical insulation, noise control, sealing, and vibration insulation. They are manufactured to exact military standards and are always of the highest possible quality. Defense applications utilize rubber for its versatility and resilience. Rubber products can help improve equipment functionality in extreme temperatures, snow, rain, mud, sand and ice. While off-the-shelf rubber products are suitable for some markets, the defense industry often requires tight-tolerance seals to contain fluids and protect sensitive instruments or custom profiles to absorb impacts and soften rides. Minor Rubber can develop a custom rubber solution for your military product. Founded in 1914, Minor Rubber has been supplying high-quality rubber products for military use since World War II. We understand industry demands and are dedicated to creating value for customers with innovative designs, efficient manufacturing practices and stringent quality controls. 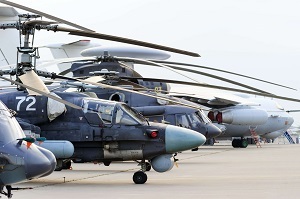 Contact Minor Rubber to learn more about our defense and military industry rubber solutions.